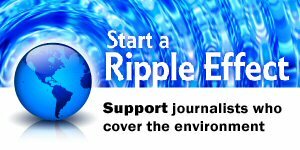 August 16, 2018 — If you are an environmental journalist, does that mean you are an “enemy of the people,” as President Trump has suggested? 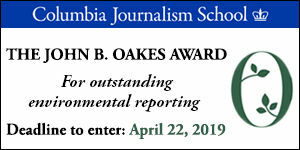 If you win an award (and the Society of Environmental Journalists just gave some) for exposing the U.S. military as major polluters (kudos, ProPublica), does that make you an enemy — or a friend — of the American people? How about the Bergen Record’s exposé of cancer-causing solvents — that prompted immediate action by the governor? How about the Washington Post’s relentless spotlight on corruption at the U.S. Environmental Protection Agency under former Administrator Scott Pruitt — who pulled enforcement agents off of pursuing environmental crime to drive him around the city on the taxpayers’ dime in search of lotion? Are journalists the enemy for informing the public that climate science shows that Interior Secretary Ryan Zinke was misleading Americans when he said this week that climate change has nothing to do with California’s catastrophic wildfires? Many other news media — New York Times, CNN, MSNBC, NPR, the Center for Public Integrity, Mother Jones or the Milwaukee Journal Sentinel — shine light daily on government malfeasance, corruption, inaction, negligence and mendacity while also informing the public about threats to their health, safety and livelihoods. They hold the powerful accountable and empower the people. Thomas Jefferson said if he had to decide “whether we should have a government without newspapers or newspapers without a government, I should not hesitate a moment to prefer the latter.” Was Jefferson an enemy, too? President Trump’s vilification campaign works to discredit those who point out his shortcomings… and point out his misstatements of fact. It leaves the public more vulnerable to misinformation. It makes journalists more likely to be exposed to threats of violence for just reporting the facts. Today, SEJ joins the many other news media and journalism groups in urging President Trump to abandon the “enemies of the people” rhetoric which could incite violence and hinder the journalism that protects democracy. 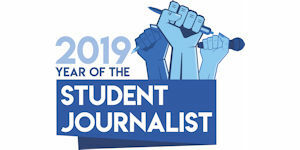 We urge the president to change his dangerous course and declare that journalists are not "enemies," but patriots whose work ensures the viability of our democracy. "Journalists Are Not the Enemy," The Boston Globe, August 16, 2018, by the Editorial Board. "News media won't back down under pressure from president," The Baltimore Sun, August 15, 2018, by the Editorial Board. "How we restore faith in journalism," The San Diego Union-Tribune, August 15, 2018, by the Editorial Board. 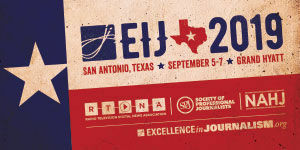 Society of Professional Journalists: "SPJ Letter to the Editor in support of free press," August 15, 2018 and "There is no democracy without a free press," August 16, 2018 by SPJ President Rebecca Baker. "'We are not the enemy': 16 must-read editorials that capture the spirit of a free press," CNNMoney, August 16, 2018, by Tom Kludt. See also "Coast to coast, and in between, local news is standing up to Trump's press attacks," by Brian Stelter.